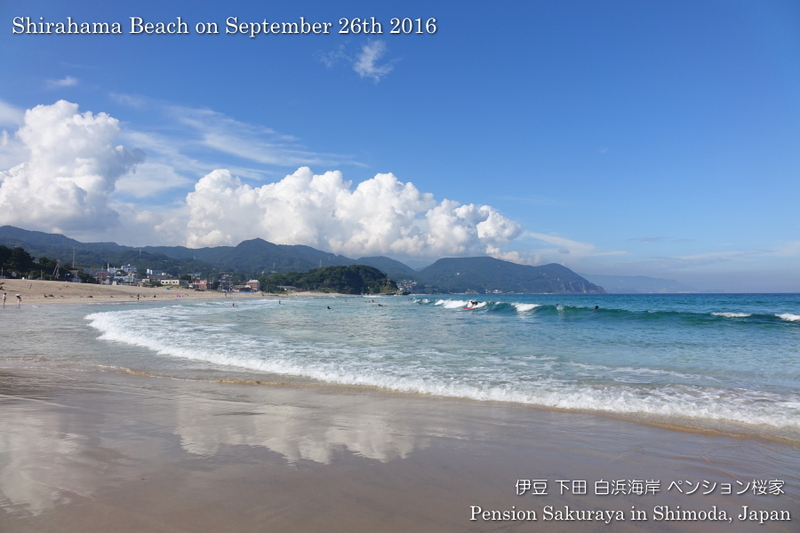 Today we had a little shower at around noon, but it became sunny again. All of our customers went to the beach before check-in after they parked their car at the parking lot. 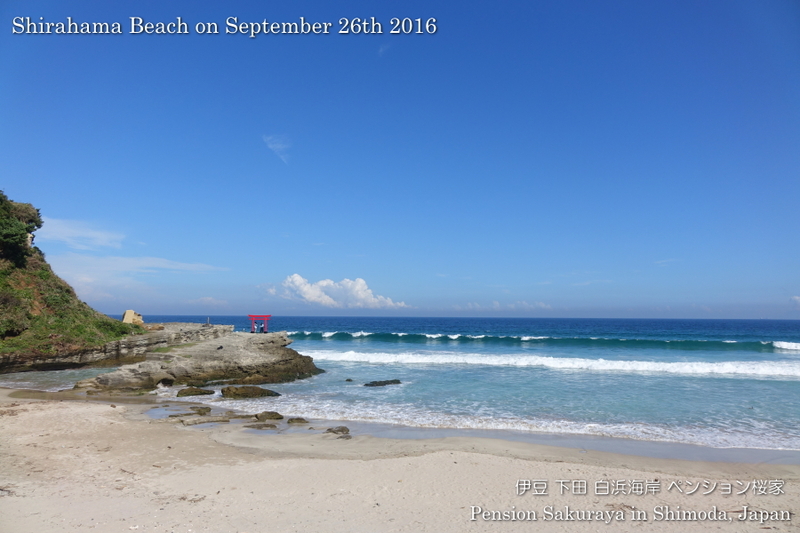 I took these picture at around 2:00 PM on the way to Shimoda. 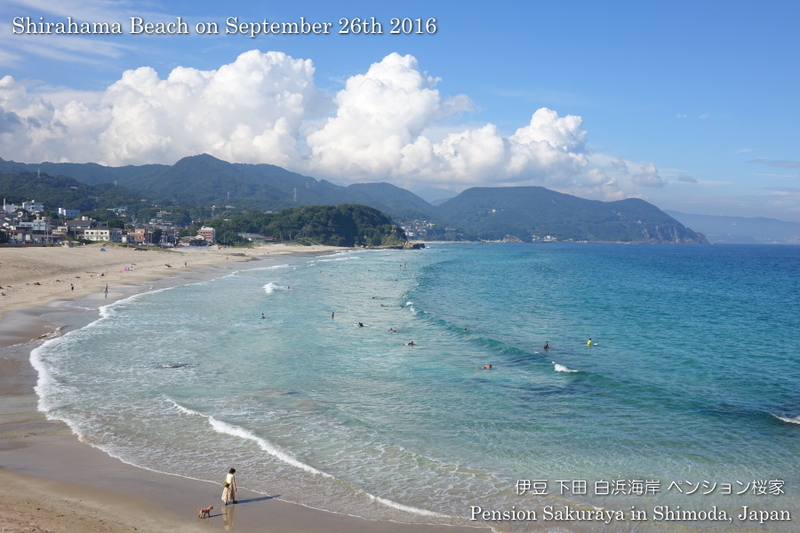 There were not so many people on the beach but all of them were swimming in the water. 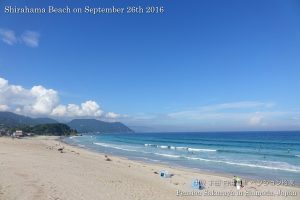 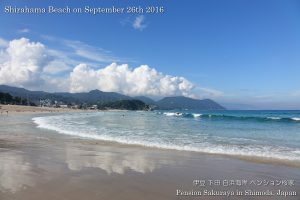 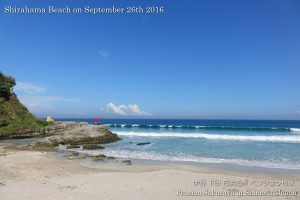 This entry was posted in beach on 2016年9月26日 by izusakuraya.